Those hoping for a better chance to qualify for Kona should consider racing Ironman Western Australia. 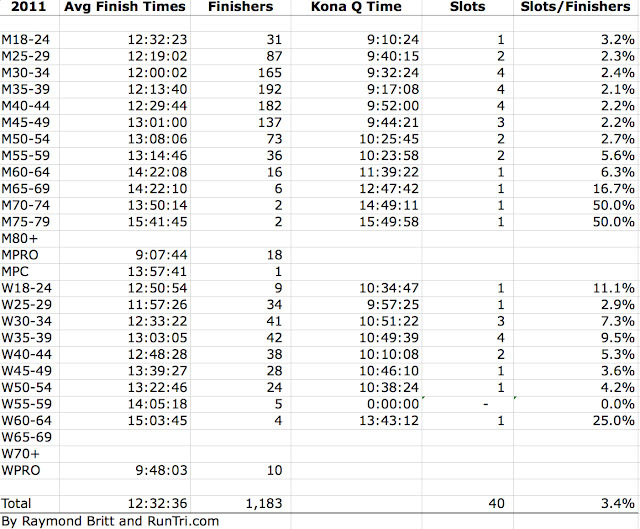 This year, 40 slots were allocated among 1183 finishers; 3.4% of the field is going to Kona. Great odds, compared to the very many Ironman events that will see around 2500 athletes competing for 50 slots in the 2011/2012 season. 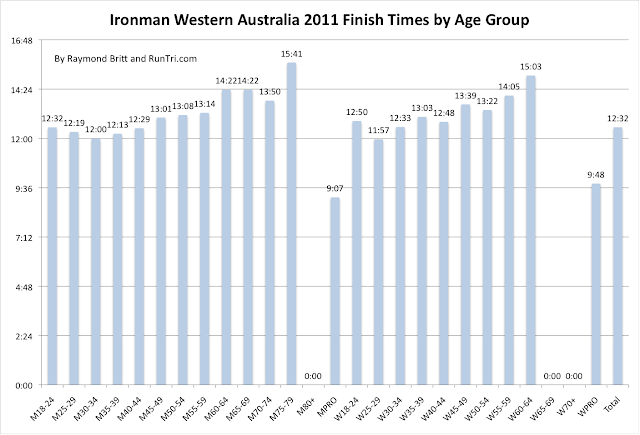 Even better: Ironman Western Australia is one of the fastest courses in the world, according to our rankings. 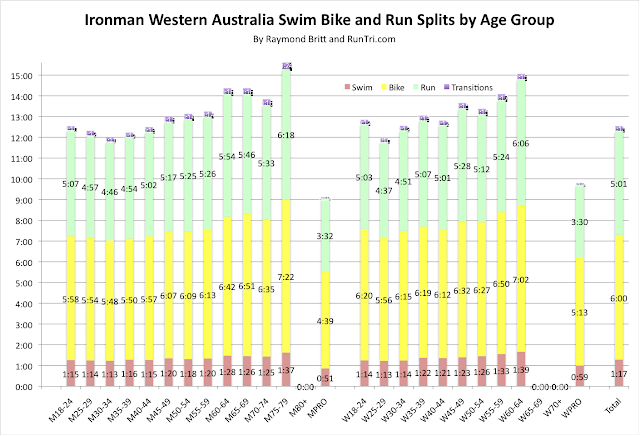 If you race Ironman Western Australia, you might be able to achieve a personal best time. 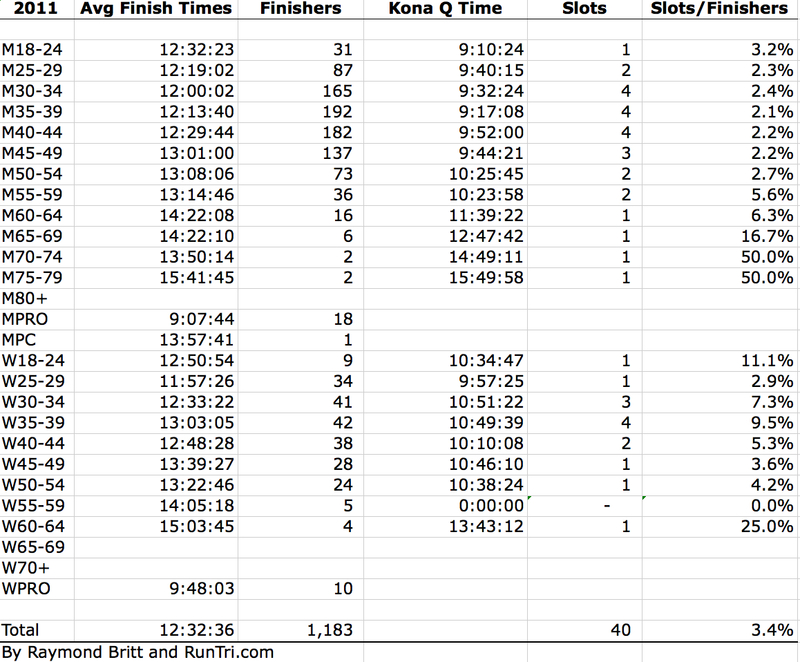 A big contributor: average bike split of about 6 hours. 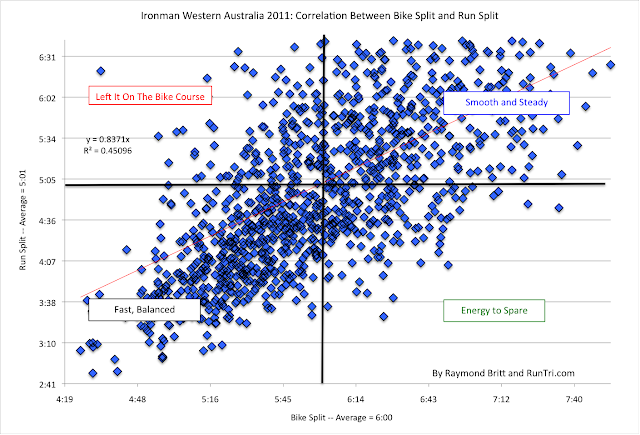 A full hour faster than triathletes experienced at Ironman UK, for example.